6 Ezra is a short oracular writing that is included in the biblical Apocrypha as the final two chapters (15-16) of Ezra, or 2 Esdras. Cast as the words of God mediated through an unnamed prophet, the main part of the work sets forth predictions of impending doom for the world. 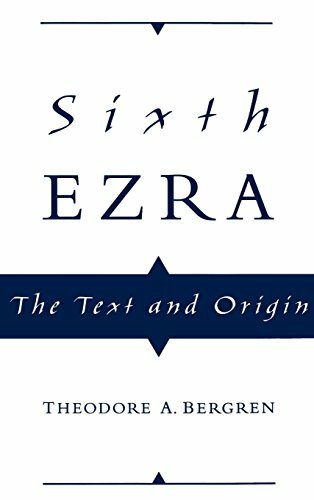 There has never been a major study of 6 Ezra or even a complete critical edition of the book, and indeed little has been written about it since the nineteenth century. This book is designed to fill that gap, offering a detailed analysis of the text itself, and addressing the questions of its social setting, provenance, date, religious affiliation, and recensional situation of the text. It will serve to make this important text accessible to a wider audience, while laying the foundations for its further study. View More In Additional Texts.